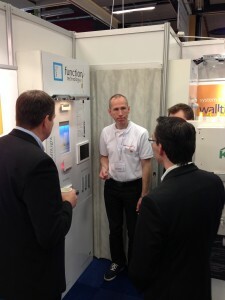 We have joined the Elfack exhibition in Gothenburg this week. Elfack is the largest electro-exhibition in Scandinavia, and we are proud to be there. Here we see Mr. Hans Walltin presenting function Technology. Here Mr. Marius Tannum, RnD director of function Technology, is engaging interested visitors. 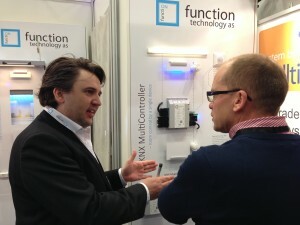 Finally, here is Mr. Frode Gandrud, CEO of function Technology, explaining the technology and innovation of our products. There is still a day remaining of the Elfack exhibition, so feel free to come and visit us at stand H06:22. we look forward to meeting you! 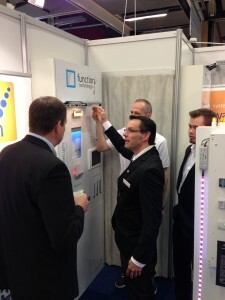 New video – energy-smart buildings are better to work in!